Home News Next Stop – Westside! The leaders of the future are ready to lead you through the College in 2017. Come see us in action between 10am-12pm Thursday 23rd March. Aside from personalised tours, one of the best ways to explore the College is the Open Day Tours. Come visit the newly-renovated Primary campus and the leafy Secondary campus. Applications have begun pouring in for 2018 and beyond. On the day, parents are able to meet key College Administration team including Head of Primary, Mr Graeme Dallinger, Head of Secondary, Mr Joshua Mansfield and College Principal, Mr Barry Leverton. 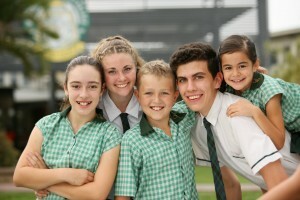 Open Day tours allow prospective parents and students to see the College in action. They can tour classrooms, watch the lessons, get to know the community and explore the grounds. Parents and children can imagine how they might find themselves at Westside. All are invited to attend the College Open Night on Friday May 5, 2017. Stay tuned for more details.